Growing up in the Midwest I developed a love for acorns and there is none more coveted than the "hairy" burr oak acorn. If you are lucky enough to come across this nut you will immediately notice the wild and wooly arms of the cap that help protect the nut inside. 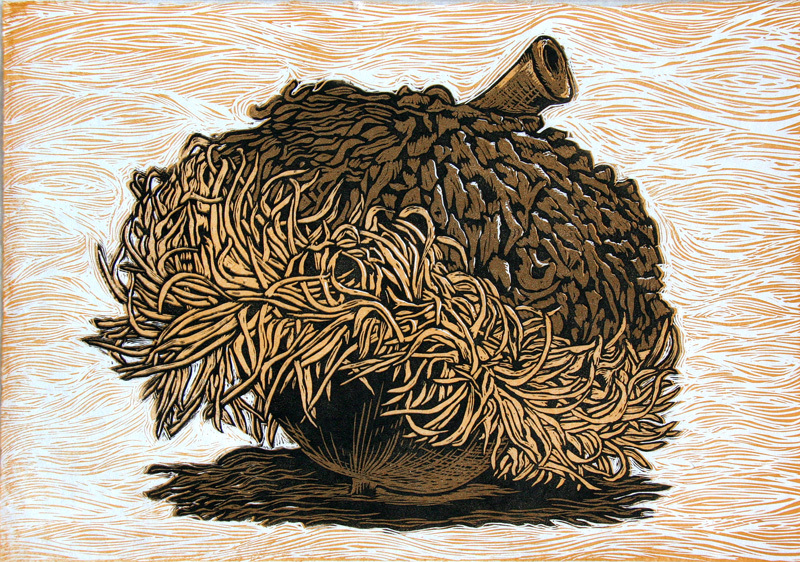 This acorn was the subject of my first large linocut and essentially was the seed that planted my career as a printmaker. Visit my blog Nessy Designs for further details about the process and more images. 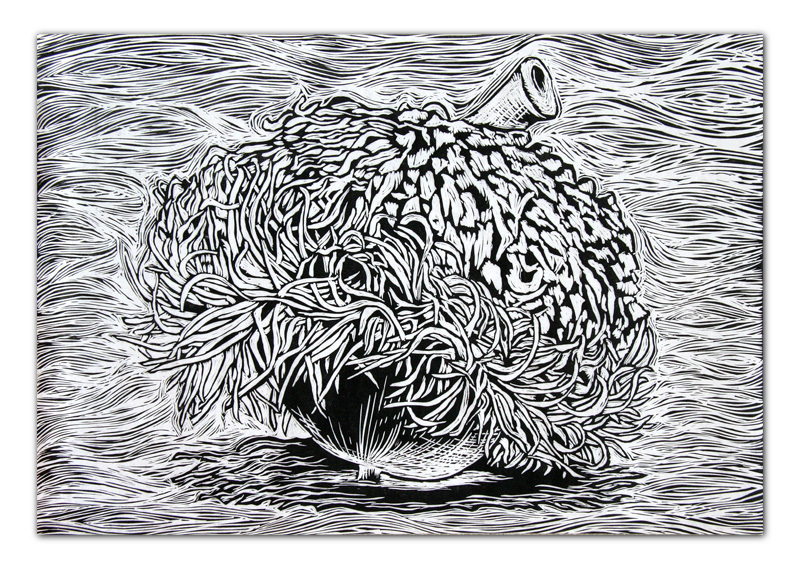 This linocut was printed using three colors of oil-based ink on Japanese mulberry paper. This is a limited edition print.